This has a couple of minor imperfections and so is discounted. 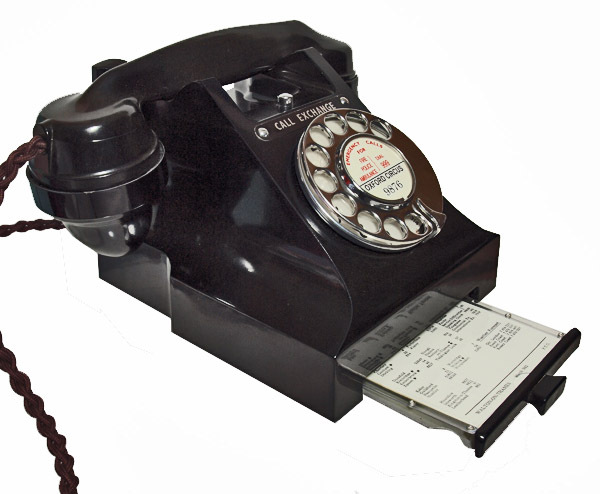 It is a great telephone and would be perfect to most people. Here is a very nice example of a GPO 312F with drawer as you can see from the pictures below. 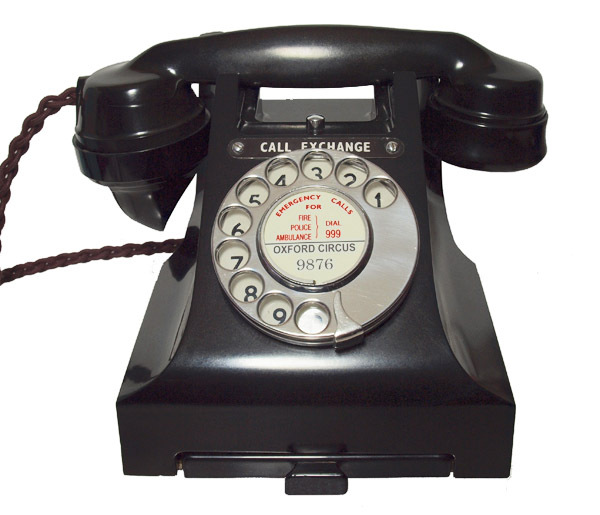 The Call exchange was used for shared lines and is no longer used on the modern system but is a very nice visual feature. The dial is a genuine GPO No 12 metal backed number only and not a later cheaper dial fitted to so many of the telephones I see being sold. 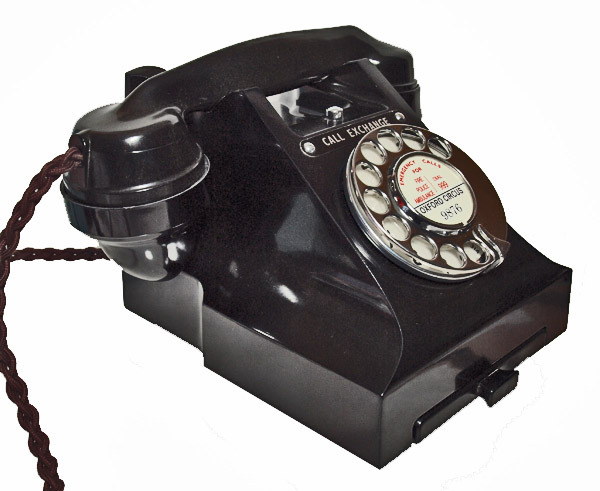 I have fitted it with a best quality hand plaited all British manufactured braided handset cord, an electronic microphone to bring the speech quality up to modern standards and a GPO specification round plastic line in cord with a UK telephone socket. 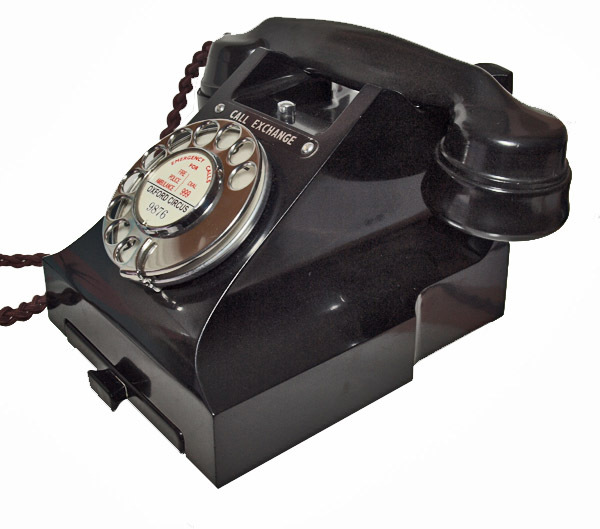 The handset has some very minor browning and a small repaired crack to the top of the dial mount and completely hidden by the dial and stabilised. It has been set up on a special line simulator to allow the dial to be calibrated to the correct speed and make and break on the contacts and then tested on my BT line to make sure all is working perfectly. This is ready to simply plug in and go. I can make a dial label with your information at no extra cost.